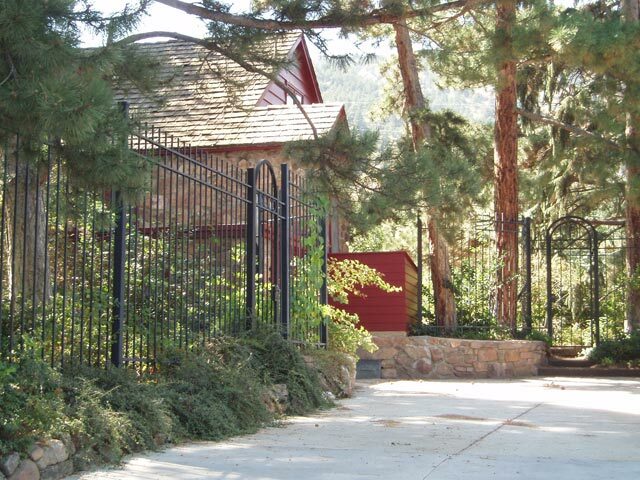 This stately and unobtrusive fence surrounds the entire front yard at this west Boulder home. 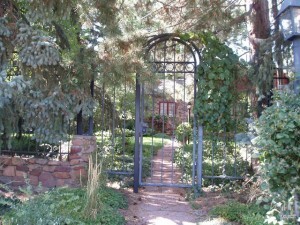 The tall entry gate with the arched design compliments the matching fence. The homeowners needed to keep out the deer and create security for their property but they wanted to keep an open feeling. The minimal maintenance of steel was very appealing and the steel medium was the perfect compliment to their historic stone architecture.